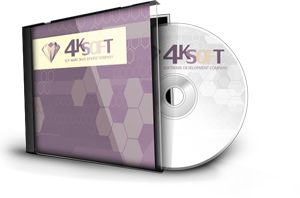 Order form of presentation "4K-ProjectManager"
You only just paid 4k-soft products through a system of payment paypal. When paypal confirm with the successful transaction - You will be notified with a letter and a link to intruktsiyamy jump program "4K-ProjectManager"
System allows to set tasks to the personnel and control their execution. Maximal simple and user-friendly interface in 4K-ProjectManager is easy and simple to learn. System is recommended for use in small and medium-sized organizations.